Here are some photos of beach shacks on Goa beaches. 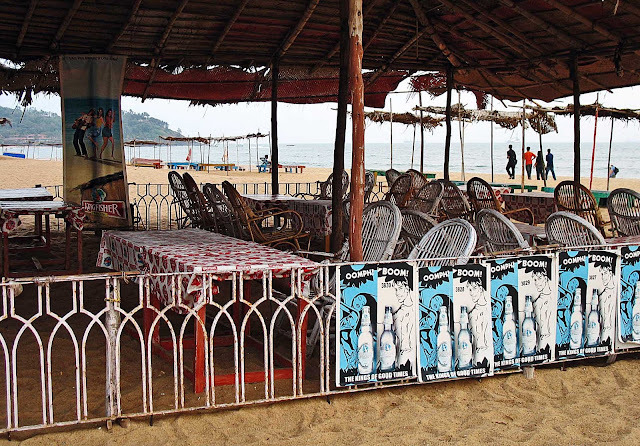 Most of these are restaurants but some shacks can be rented out, and some are small hotels. 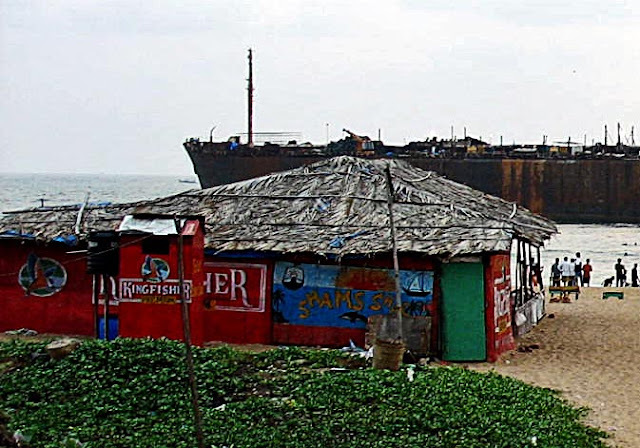 Some of these shacks are right on the water's edge. Quite shabby some of them but people throng here. Beer flows freely. This one has a view of an abandoned ship! 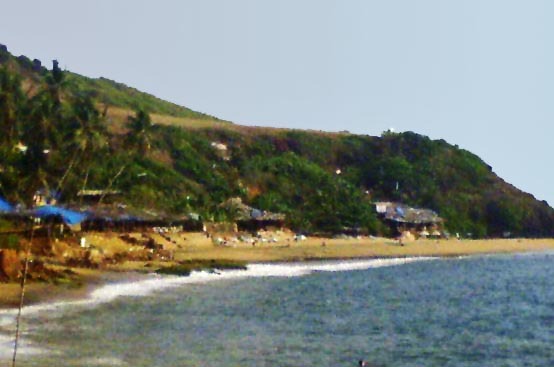 This is a long shot of some shacks on the beach. Often they are quite badly maintained. 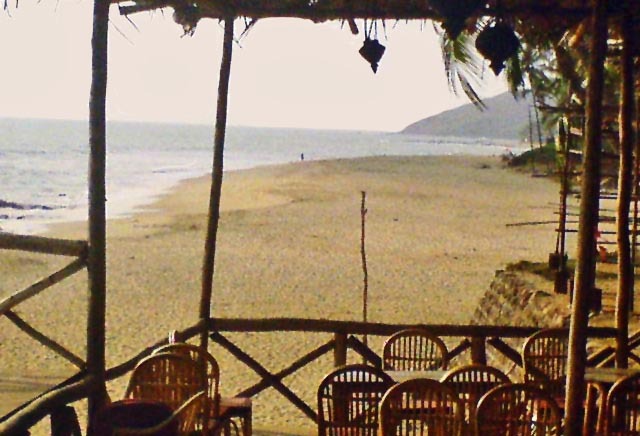 Also: Goa airport pictures or you might like to see pictures of wide and beautiful beaches.